No human being who ever lived has been held so highly by Republicans as Ronald Reagan; he is often spoken of as one small step below the Divine. Republican candidates fight for the right to be thought of as his philosophical successor. And by that term, they mean the champion of smaller, more decentralized government and lower taxes. But that’s the Reagan myth, not the Reagan reality. As the actual historical record clearly shows, they couldn’t be further from the truth. Reagan grew government and raised taxes more than any president who preceded him. Under the administration of Jimmy Carter, Reagan’s immediate predecessor, the federal government spent 27.9% of GNP. Reagan’s administration spent 28.7%. Over the course of his 8 years in the White House, Ronald Reagan, the Republican Party’s patron saint of limited government, increased federal spending by 60% in nominal dollars. Candidate Reagan pledged to abolish the Department of Education. Instead, spending by the Department of Education more than doubled during the Reagan administration. Social Security spending increased, as did spending on farm programs, Medicare, and so-called entitlement programs (from $197.1 billion in 1981 to $477 billion in 1987). The result of Reagan administration spending was unprecedented debt. 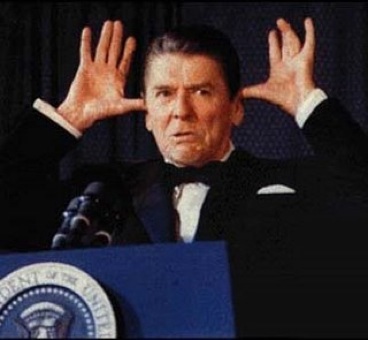 Reagan tripled the national debt (from $900 billion to $2.7 trillion) during his years in office. He also grew the civilian federal workforce by close to 250,000. 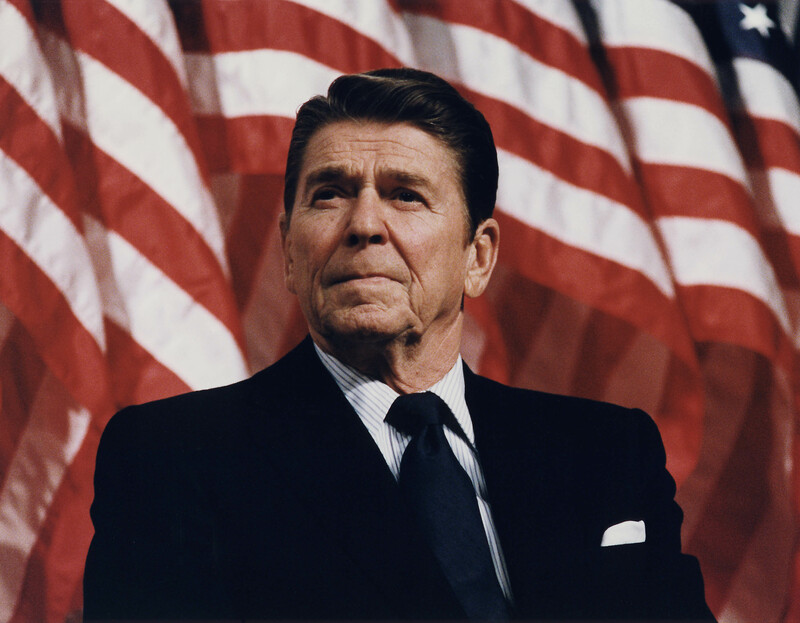 Candidate Reagan promised to cut personal income and business taxes. President Reagan didn’t. Tax increases put into place between 1982 and 1989, equaled $1.5 trillion. Hardly the image today’s Republicans present. When it comes to the Reagan legacy, Republicans, it seems, would rather cling to the myth than accept the facts. If Republicans want to continue flogging themselves as the party of smaller government and lower taxes, I’d say it’s time for the Grand Old Party to find itself a new idol.